Up for sale is this "Fujiwara Yu 'guinomi' bizen pottery cup #3194" If you have any questions please contact us before buy it. No reserve. 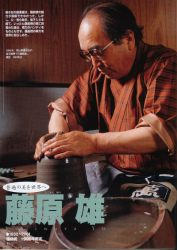 Click the button below to add the Fujiwara Yu 'guinomi' bizen pottery cup #3194 to your wish list.